Following are publications that we think can be useful to those interested in woodblock prints. 1. Margaret Jordan Patterson Our catalog of the first retrospective of Patterson’s works held in 1986. Three page essay. 41 prints illustrated in black and white. 8 pages. 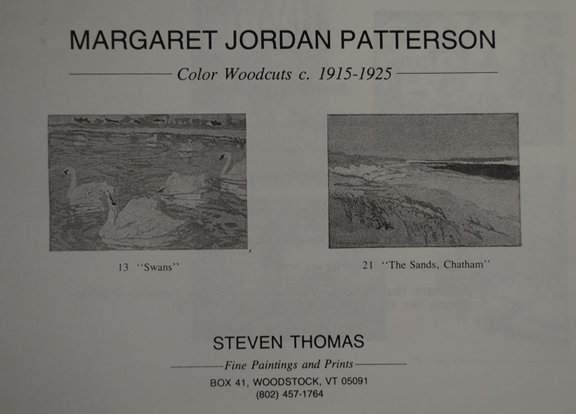 A catalog of an exhibition we curated held at the Provincetown Art Association and Museum in 1988. This was the first museum exhibition that we know of devoted to printing matrices. It highlights the Provincetown white-line (single block) printing blocks of artists Karl Knaths (1891-1971), Agnes Weinrich (1873-1946) and Ora Inge Maxim (1895-1982). Illustrated in black and white are 30 blocks by Weinrich, 6 by Knaths and 16 by Maxim. It is the closest thing we have at this date of a catalog raisonne of the white-line prints of these artists. 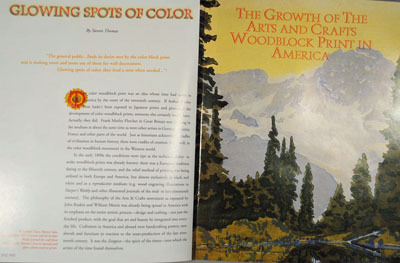 The front and back covers are in color showing a reproduction of a block by each artist. There is a short biography of each artist as well as biographical and block print exhibition information on each artist. 28 pages. With 2 colors postcards of the exhibit. A full-color bound reprint of an article we wrote that appeared in the Summer/Fall 1999 issue of Style 1900. 8 pages, text and photos. 11 color illustrations. 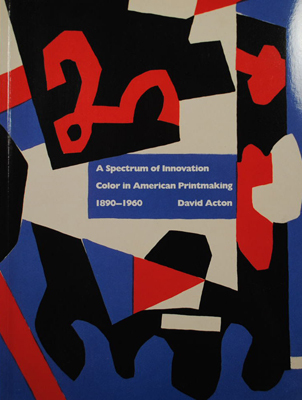 A detailed history of the color woodblock print in America. With photocopied text of endnotes, references, definition of woodblock and a list of woodblock artists by region. Photocopy of an article (with color photocopy of the cover) that we wrote that appeared in the fall 1991 issue of The Arts & Crafts Quarterly (forerunner to Style 1900). 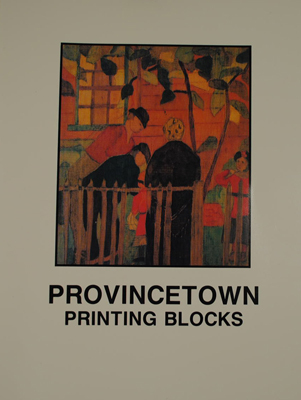 It chronicles the history of the Provincetown Print from its origin in 1915-16. 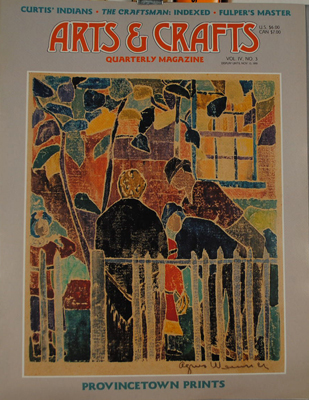 Artists illustrated are Agnes Weinrich, Ora Maxim, Mary Burr Russell and Margaret Jordan Patterson. 6 pages plus cover. David Acton (with contributions by Clinton Adams and Karen Beall), 304 pages, softbound, large format (12 x 9”). 100 artists are covered, with at least one large color photo of a work by each artist and a detailed commentary on the artist and the print(s) in question. These are not biographies that are “borrowed” from stock biographical dictionaries; rather, insightful analyses of the works and the artist written especially for this volume by David Acton. (There are also detailed standard biographies of the artists as well in the back of the volume). The front of the volume offers detailed analyses and historical context for each of the major print media—relief, intaglio (by Karen Beall), lithography (by Clinton Adams) and serigraphy. There is also an extensive bibliography and an index of the artists. Because this is a survey of the (extensive) Worcester Art Museum collection, it is not all encompassing but is, arguably, the best book on American color prints that’s out there. The volumes offered are new and unused as we bought out the remainders of the catalog from the museum.